There are various accidents that can occur in your warehouse and involving your pallet racking. These accidents can range from minor incidents to accidents that grind your operations to a halt. To help you avoid them or at the very least reduce them in future, we are going to look at some things you can do. Your staff having available and wearing their personal protective clothing and equipment is vital during the day to day activities in your warehouse or factory environment. However, many workers often take shortcuts and don’t bother, on account that they have never been injured or involved in an accident. However, it just takes one item that is too heavy being dropped on to their unprotected feed or some flying debris damaging their eyes and causing irreversible damage, which can be avoided and prevented. When your workers wear the workwear that is recommended and advised, they not only ensure their own safety, but the safety of everyone else that works there. 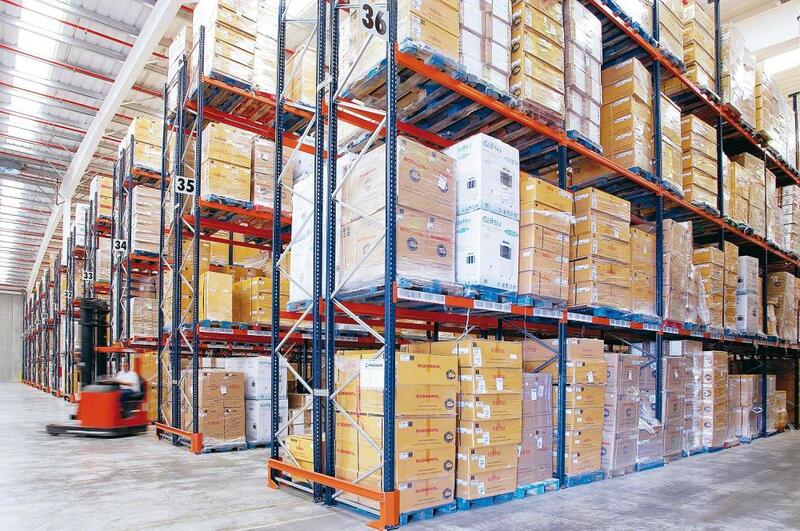 Pallets used for storing and transporting goods can be the root cause of various accidents in warehouse environments. For instance, it could be that the racking is badly aligned, meaning forklifts trucks have to manoeuvre round them at awkward angles or that they have been overloaded with products or merchandise, so they fall and block aisles or fall into the racking itself. Paint the forks so you know exactly which truck is responsible for an incident. Using all forms of relevant rack protection is important, such as braces, stops and clips. These help to reduce accidents being so bad when they do occur. Helping your forklift drivers with their visibility can also lower the number of potential accidents and hazards in your warehouse. Rack-mounted safety mirrors and rear-view mirrors are helpful additions. The bottom 5 feet of a pallet racking system at the corners are the most abused, particularly when drivers take these corners to quickly in forklifts. The installation of bollards and continued training are ways you can reduce the frequency of these incidents and the damage caused by them. While it won’t prevent accidents or damages, having a qualified professional come in to regularly assess your warehouse and racking will help you to understand areas where improvements or reinforcements could be made to stop small issues turning into serious problems in the future. « How to choose your next E Liquid?